I was going to call this post “Taking the Paleo Plunge,” but that wasn’t the experience we had. We sort of tiptoed around it, stuck our toes in the water, spent some time on the beach, used every flotation device we could find, and then we jumped in. My husband tried to throw my baking-obsessed, carb-loving self in at the beginning. That didn’t go well. 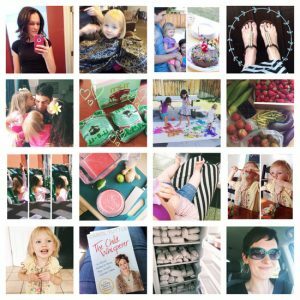 From the birth of this little blog we, as a family, have been changing our eating habits. We wanted to stay healthy and active for as long as possible, and we wanted to teach our kids the best way to care of their bodies. As we researched nutrition, physiology, and the source of our food we were faced with a lot of decisions. We started new habits, tried to break bad habits, and postponed some decisions until we were ready. Want to know how long this transition took? Five years, my friends. FIVE YEARS of gradual, comfortable changes. And although we may veer off occasionally depending on the situation (and time of year), those changes have stuck as far as our everyday, at-home eating is concerned. Consequently, my blog has had a fuzzy, vague, “healthy-ish, but sometimes not” focus the past few years. Or lack of focus, if you will. In the last month, triggered by a much-needed after-holiday detox, I’ve finally felt comfortable closing the gap that I had held open for so long between where I was and where I wanted to be, nutritionally speaking. I never thought I would ever get to the point where I’d be perfectly fine living 90% paleo about 80% of the time, (I will never give up cheese. Ever.) but I have. It feels like something just “clicked” inside of me. I’m ready to pick a side, and I want to extend that focus to my blog. After a lot of thought I decided not to toss out every non-paleo recipe. Those posts represent a lot of my time and energy, but they also represent the journey we’ve made as a family. And for those looking to make that transition as well, I think many of these non-paleo recipes were very helpful stepping stones to get where we wanted to be. Some of those posts are just ridiculous desserts. And I’m OK with that. Perry’s Plate is officially a mostly paleo-focused blog. Well, not a whole lot will change, actually. The majority of the meals I post will be paleo or pretty close to it (like they have been for some time). I won’t be posting anymore ridiculous dessert recipes, though, but more not-quite-as-bad-for-you, naturally-sweetened treats — something I used to scoff at, but recently began to love. There are hundreds of blogs that post ridiculous dessert recipes. I really don’t need to contribute any more. I would love it if you would share with me any questions or concerns you have if you plan on going paleo as well. I love and value your opinions (obviously, I can’t even decided on a brand of flip flops without asking you… thanks, by the way!) and I’m anxious to hear your thoughts! YAY!! I’ve been hoping to become a little more Paleo. (Cheese will never leave my diet, either.) This will totally help! Yay! We’re adopting a (mostly) paleo diet because my sweet baby has so many food allergies. In trying to adjust to our “new normal” we discovered the paleo diet because it fits our needs so well! No gluten, dairy, corn, etc and the food still tastes good (because it’s not fake). He can have rice and oats, so we still have some grain (hence the mostly), but I am really looking forward to lots of new recipes from you. I use your blog as a major menu planning resource. Thanks! I think that’s awesome and I look forward to your recipes. I’ve been Paleo since November and I love it! Congrats on the new shift and new focus Natalie!! I’m so happy for you guys and I can’t wait to see what you come up with! I’ve been struggling with diet very hard the last couple years and each time I toy around with the idea of eliminating breads, cheeses, more sugars I try it a few days and then scamper back to my old ways. This is gonna be great and I can’t wait to see what you cook up and inspire. I love this, Natalie! I sincerely appreciate the way you approach living and eating and am looking forward to hearing more about the journey. I love the “progressively” in the tagline. Perfect! I look forward to your posts! I have thought about going mostly Paleo (probably would keep some dairy) I did the 21-day sugar detox in January, I completed it, but I fell off the wagon quickly. I am hoping I can get my carb loving husband and 3 (young, all under 5) children on board. I love this blog! I know that I feel better when I eat a Paleo-ish diet(I do drink raw milk and eat grass-fed butter), but I have been having an extremely hard time sticking with it. I’ve always been a carb-a-holic and I have a relentless sweet tooth and I would really like to get to a place where I’m eating the way I know I should be about 80% of the time. I gave birth a year ago, I’m still nursing, and I have been relying on carbs and sugar to keep me going! It’s refreshing and reassuring to hear how long it took you and your family to make the change. Thank you for your honesty and your down to earth approach to Paleo!! That is awesome. I am excited to hear how you did it. Mostly, we eat very clean and quite low carb/minimal dairy. I just feel better when our food is locally sourced, clean, fresh, etc. However, I do not eat meat. And I struggle with ever cutting legumes out of my diet (something which is a paleo no-no). This post is very interesting to me. I have been wanting to transition my family back to eating cleaner, less carbs, less sugar. It makes me feel better to know that it took you guys 5 years. I don’t think we could give up cheese, though. I am curious about milk. My kids love it and drink a lot of it. I have no problem with this and they drink 2%. I know there are other calcium containing foods but am wondering what the main source of calcium is for your family. I am also curious about the no legumes part…too high in fat? Stupid questions, I know but this concept is new to me. Thanks! About calcium, we do eat cheese still. And we eat a lot of dark green vegetables in our morning smoothies and sometimes in meals. There are a lot of other foods that have calcium besides dairy, like seeds and nuts (particularly Brazil nuts and almonds), dried herbs, oranges, quinoa, and studies have shown that the calcium is better absorbed if it comes from a non-dairy source. Since I discovered your blog my family has transitioned to eating significantly cleaner with a few paleo meals thrown into the mix. I don’t think we will ever give up cheese either, but we have limited our intake and it is the only dairy that we consume. It is relieving to know it took you five years to get to where you are today it gives me hope that we too will be there soon. Ah yes. I’ve heard that about ulcerative colitis. Doesn’t the fiber in raw fruits and vegetables (particularly greens) irritate it? Thanks so much for this post! 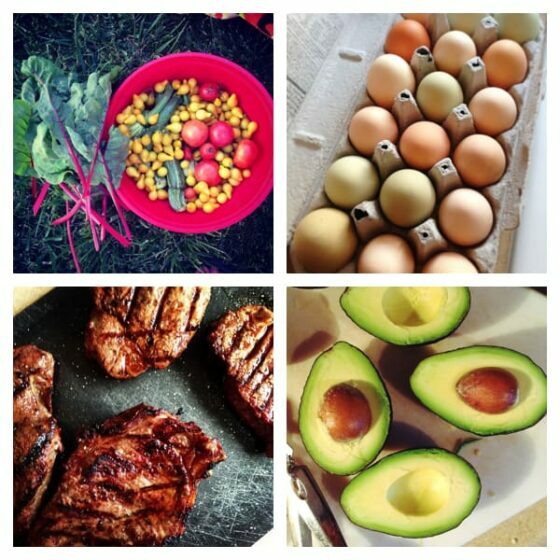 About a year ago, my husband and I did a 30 day paleo challenge. I felt really good, healthy, and was excited. We kept up an 80% paleo lifestyle for 3-4 months and then gradually receded back to our more normal healthy-ish but not paleo eating. With two toddlers, a carb-addict husband, and all of us cheese-lovers, plus full-time jobs, house renovations (diy), and all the other craziness of life, it was too ambitious to go completely paleo at once. We use and love many of your recipes and I take inspiration from your family’s gradual transition. We will get where I want to be someday, and if it takes us 4 more years, I’ll know I am in good company. I love that you are taking a stand and choosing. I was in a similar situation last year with the gluten free everything blog or half and half. Like you, I had to choose and my life has been much easier, especially in the kitchen. 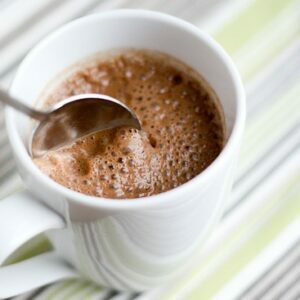 We have toggled with going Paleo for some time because of some recent allergies (milk) I have discovered and so I look to your recipes and knowledge as a stepping stone for my family. I have always enjoyed your blog and can’t wait to follow and see what awesome recipes you have to share. Have a good day Natalie! I actually noticed the “progressively paleo” moniker a few days ago and think it’s awesome! I’m so glad you guys found what is right for you! I felt similarly when I decided to become vegetarian. There is definitely something out there for everyone! I’m so glad! I too have been struggling and wanting to make some nutrition changes. It’s encouraging to see someone who is doing it slowly. I fear burnout if I jump in head first. I need inspiration, I need someone who’s a few steps ahead of me. I need appetizing meals to make me WANT to eat it and continue eating it. So, by all means–keep up the good work! Amen, sista! Haha. All good points, Nicole. While we’re at it, let’s only eat things that we hunt, do away with indoor plumbing, footwear, and hygiene. Paleo isn’t about replicating a true Paleolithic diet to a T, but adapting it to the modern world we live in. Doing away with processed foods is huge. Good on you! Thanks for that link. I’ve heard those arguments before, but unfortunately they are based on faulty premises and bad studies (the China Study for one…what a mess.) That woman hasn’t really done her homework. Good for you! And thank you for sharing the links about the Paleo Diet — very informative. Because of your blog, and several other healthy-food, homesteading blogs, I made the plunge last year to eliminiate hydrogenated oils, all processed foods and most grains from my diet. I kept organic peanut butter, oatmeal, and quinoa and I’ve lost 15 lbs. :) Now I’m going to start slowly getting rid of the last three. Sigh! I make these wonderful little patties called Quinoa Bites — sure am going to miss them, but feeling better is a priority. Thanks again. I’ll continue to be a faithful follower as you progress. Blessings on all your words. Way to go!! Those things are big ones. And if it makes you feel better, quinoa is technically a seed. :) Depending on how strictly you go paleo, you would probably be fine eating it. (We still do about once a week!) Thanks so much for your support! I’m hoping to try eating paleo for a month sometime early this summer. I can’t wait to hear more about how you finally jumped in. I’m a bit daunted by the Whole 30 challenge alone, I must say. Looking forward to using your blog as one of my paleo recipe resources in a few months! I love your blog- your recipes are always a hit. I probably would never convert to the paleo diet, but that won’t stop me from enjoying your recipes! I am curious, since everyone goes about things differently (i.e. “I’m a vegan because I don’t believe in hurting/using animals” vs. “I’m a vegan because I think less animal products are healthier for me”) *I’m not a vegan by the way*…do you choose not to eat grains/beans/legumes because you feel that modern production of those foods has ruined them or because you don’t believe that the body was made to eat those things? I’m just genuinely curious of your perspective. Thanks Jodi! To answer your question… a little of both. That’s one of the things that i was hung up on for a while, actually. I do think that modern production has had a HUGE impact on the way our bodies process those things, especially modern wheat which has a LOT more gluten than wheat did 100 years ago. That’s the main reason I try not to eat them anymore. (And because I’ve noticed a change in my own body. When I eat them, especially in large amounts, my stomach inflates and I get bloaty. A lot of people have said that, too, after going on and off grains/legumes.) One of the biggest questions I had was “Do we really need to go back to pre-agriculture?” I still wonder that sometimes. Do you have any tips for those of us whose families aren’t on board? My husband and kids think the way I eat is ridiculous, and love their sandwiches and fast food. How do you win people over who don’t agree with you, but who you must cook for? I do make all of our dinners and breakfasts paleo, but lunch is hard to control. Sally, if your dinners and breakfasts are paleo, that’s huge! Lunch is hard for me, too, I find. I’ll keep that in mind when I write my series. Did you check out the “Staying Whole” series I wrote last year? (There’s a link to it in the sidebar.) That might have some ideas for you on how to help the rest of the familiy transition. In an attempt to lose weight, I have just begun dipping my toes into the Paleo pool so I’m thrilled to hear that one of my fave sites will be another great resource! As of now (and in addition to exercising and maintaining a 1200 cal/per day diet), I am drastically reducing my carbs/grains/legumes, with an additional focus of not eating any white flour products during my “cheat treat” (the one meal per week when I eat carbs). 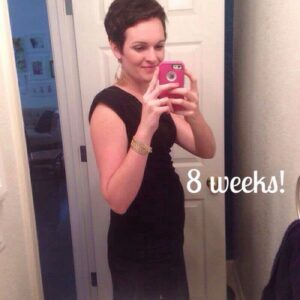 I can already tell a difference in my energy and my overall feeling of well-being (no bloat!) and it’s only been a week! Now, the dairy part…man, THAT’S gonna be rough. I have never met a piece of cheese I didn’t like!! Wait, why is the China Study not compelling evidence to you? I’m still pretty convinced that a plant-based diet is so good, but I’d love to hear your thoughts, especially since I’m sad to have to look elsewhere for recipes that are plant-based instead of paleo. Thanks Kristy! Ah, the China Study. Did you know that it started out as a 22-country (if I remember correctly) study and they cherry-picked a handful that proved their hypothesis? They also didn’t distinguish between eating organic, grass-fed, pastured meat and eating factory-farmed “stuff”. It might not seem like a big deal, but is. (I wrote about it another time over here: https://www.perrysplate.com/2012/04/staying-whole-in-a-processed-world-getting-your-protein.html) I have to give the China Study credit for one thing, though… they proved that eating icky meat will make you sick. But I think we already knew that. :) If there’s a study out there that shows a correlation between eating organic, grass-fed meat and getting cancer, I’d love to read it. I’m interested on your family’s plan for long term food storage now that you have adapted a paleo diet. Aside from a extra freezer full of meat, which would quickly spoil if there was an extended power shortage, how are you going to plan for the unexpected? Would you choose to return to a grain/legume based diet? And if so, how do you plan to rotate for freshness? This is one thing that has held me back. Anjuli, we faced the same dilemma! We decided to go with freeze-dried meals with a 25 year shelf life for these reasons: they don’t need to be rotated, they don’t have the BPA contamination of traditionally canned foods, they are much lighter and take up less space, and I hear that freeze-dried meals taste much better than dehydrated or canned foods. No, these meals aren’t paleo. Because we don’t have severe reactions to grains/legumes we decided that for our long-term emergency storage, we would simply “survive”. We also have an emergency seed packet in the freezer that lasts 5 years to plant a garden, if needed. I have wondered the exact same thing. I don’t know how to store what we eat now, or are trying so hard to eat now. That’s another one of my husband’s hang ups. I’m not willing to store anything like wheat or lots of canned fruit and veg or powdered milk because I don’t buy it now and we don’t eat it. I’d love your thoughts on it. Thanks, Aimee! Eggs and bacon are great. Eating mostly paleo has lots of perks! This is so great! I’ve been a fan ever since making your stacked enchiladas for a dinner part–so good! Thanks for talking about your “fuzzy focus”–that’s exactly how I feel, and I think I’m still in the stage of dabbling with a bunch of different eating lifestyles and testing the waters. But as for “There are hundreds of blogs that post ridiculous dessert recipes. I really don’t need to contribute any more.” <–I couldn't agree more. Looking forward to more natural desserts! Over the past year I’ve started cooking differently (thanks in large part to your blog). We eat fewer carbs and more fruits, veggies, and nuts. We’ve also started substituting quinoa for rice. I would be interested to know your opinion on how your journey to such a healthy lifestyle has affected your family’s health. Do you, Steve, and the kids get colds, etc. less often than you used to? Have you seen a difference? What about energy levels? P.S. Still lovin’ your blog. I’m thinking about switching my diet but get hung up on the Word of Wisdom. How do you reconcile it with a Paleo diet? Great post! I feel like you have a realistic approach to Paleo. I am new to Paleo(just a few weeks) and am finding that the transition is best done gradually. My husband is a bit slower to accept the new ways. I feel like I am learning how to cook and bake all over again. I am loving that part of it because it is a new challenge and keeping life in the kitchen interesting. I agree that I will NEVER give up my beloved cheese. I live in Wisconsin and would probably be run out of the state if I gave up cheese. I know what you mean, Manddi! Just switching your mindset from a starch-based meal to a veggie/protein based one is hard to do sometimes! I’m glad going gradually works for you, too. Best of luck to you! Thanks for sharing your thoughts on online bachelor degree programs. Thanks for your question, Diane! First, I have one for you. Do you think that every member of the church should adhere strictly to the word of wisdom? If so, then those who have wheat/gluten intolerances would be condemned as well as members who choose to be vegan, despite the fact that the Lord has placed animals on the earth “for the use of man with thanksgiving”. I believe the word of wisdom is a guideline, and it states that it has been “adapted to the capacity of the weak” which tells me it’s the Lord’s minimum requirements for health. I think that the paleo lifestyle has been misinterpreted by some to mean, “eat all the meat you want.” We are mostly paleo as a family, but it doesn’t meat we eat giant steaks at every meal, or every day for that matter. I think “sparingly” is an incredibly subjective term and means different things to different people. For us, we try to balance our meals about 2/3 vegetables/fruits and 1/3 protein/fat, which includes meat as well as poultry, fish, eggs, nuts, and healthy fats. As far as wheat goes, modern wheat we see now isn’t the same as it was 100+ years ago when this revelation was given. Grains in general (specifically refined) are pro-inflammatory and have low nutrient density. Continuous inflammation in the body is one of the underlying causes for most chronic diseases and auto-immune problems. Almost all of the common cereal grains in the standard American diet (corn, wheat, soy, barley) have been either genetically modified or hybridized to the point where they no longer resemble the crops that the early saints had access to. For me, the bottom line is this — I don’t believe the Lord is going to punish me for sincerely striving to have optimal health and take care of the body He has given me. If by eating a mostly paleo diet I feel my best, resist sickness, and I’m better able to serve my family and the church, then I feel that I have His blessing. I hope that helps, Diane! Thanks for your response! I should have reworded the question in a way that didn’t come across as judgmental because that’s not how I meant it. I just really have pondered this topic a lot lately. There are so many different ways of eating and all claim to be the best or healthiest and it’s hard to sift through all the information. I decided I needed to try to understand the Word of Wisdom better and how Heavenly Father wants us to take care of our bodies. My number one goal right now is trying to eliminate processed foods one at a time. We don’t eat a lot of it, especially highly processed things like pop tarts or hamburger helper, but there are still a few things I rely on. Like you, I can’t do cold turkey and sometimes my sanity depends on opening a can (even though I love to cook). I feel like Heavenly Father knows that we are doing our best to be healthy and will bless us for it. One thing I struggle with is the cost of healthier foods. How do you find your meat? It seems like good, clean meat is 10 times more expensive than meat from a grocery store and I just don’t have the budget for it. This is something I struggle with a lot. Anyway, sorry if I sounded like I was accusing you of not keeping a commandment. :) There is just a lot of info out there and I’m trying to figure out what’s best and wondered what your perspective was on the Paleo diet/Word of Wisdom. Oh no, Diane, I didn’t think you were being judgmental. I hope I didn’t come across as defensive. :) I agree with you, that we’ll be blessed for our efforts! And I certainly have those days where I just run out and get a pizza to save my sanity. Yes, it does cost more though, at least up front. We get our beef from a local farmer and buy a half cow at a time that lasts out family of 5 a little over a year. It ends up being between $4-5 per pound, which may be more than factory farmed ground beef, but our share includes all cuts (ground, roasts, short ribs, steaks, etc) so it’s an amazing deal for organic, grass-fed beef. What also helped me is to realize that most other countries spend a larger portion of their income on food. And that portion has even gotten smaller in America. Also we rarely get sick, and don’t spend money on doctor appts and medication. Clean meat is pricey though, and we decided that we’d rather just eat less meat if we really couldn’t afford the good stuff. I also try to find wild-caught fish on sale and organic, hormone-free chicken. Pastured would be best, but we haven’t gotten there yet. It truly feels like modern foraging trying to find real food nowadays! I switched to paleo in January of this year and it has solved a lot of digestive issues and joint pain that I’d been suffering with for years. Sadly I had to stop going to a lot of my favourite blogs because I couldn’t deal with the temptation. I’m so excited that you’ve made the switch and I can have a fun, reliable source of healthy paleo recipes!! !